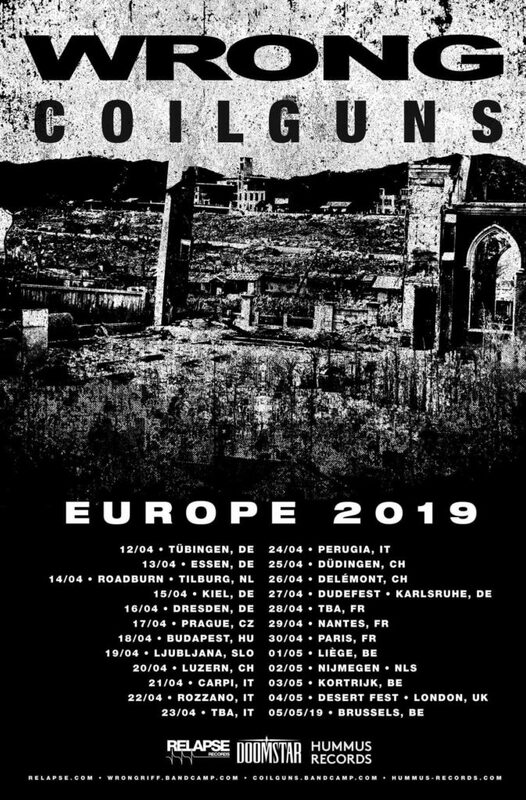 Miami noise rock/alt metal powerhouse WRONG announce headlining European tour dates throughout Spring 2019. The tour begins April 12 in Germany and ends May 5 in Belgium including major festival appearances at Roadburn Festival and Desert Fest London. WRONG will be touring in support of their latest full-length album release Feel Great. All confirmed tour dates are available below. WRONG’s new album Feel Great is out now on CD/LP/Digital via Relapse Records. Physical Packages are available via Relapse.com HERE and Digital Downloads / Streaming Services AT THIS LOCATION. A full collection of WRONG music videos is available via YouTube HERE. WRONG’s (members of Torche, ex-Capsule, ex-Kylesa) sophomore album Feel Great will make you feel the exact opposite of great. The band has created a moody and eclectic record, albeit the moods are pissed and the eclecticism is various levels of pissed. On Feel Great, WRONG has mastered the arts of bludgeoning groove, riff, tone, and grit, creating eleven songs that are faster, heavier, angrier yet also more melodic than their breakout debut. The album was self-produced by the band and recorded at various studios around Miami with mixing handled by guitarist Ryan Haft and artwork by Rick Smith of TORCHE. WRONG is the exact type of rock band the world needs in 2018, uncompromising, aggressive and ready to tear the whole damn place to bits.